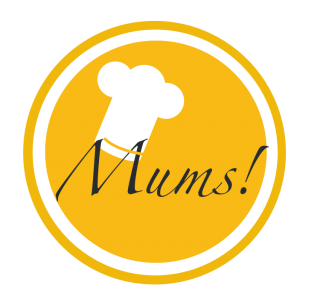 Dinner for fourteen – Mums! I went for appetizers with lots of flavors and suitable to prepare in advance: three hummus variations, rosemary roasted almonds and lemon marinated olives. These treats I prepared the evening before. As a starter, I served a celeriac apple soup with a warm smoked trout and chives add-in accompanied by bread and floral butter. The soup, I prepared a week in advanced and froze it. The add-in and the butter, I mixed together on D-day. The main course, I cooked last weekend and stored it in the freezer: Ossobuco alla Milanese. The veggie sides – roasted tomatoes, steamed heirloom carrots and parsnip chips – I cooked a couple of days in advance. I only had to prepare the rest of the sides – a gooey bramata and a spicy gremolata – right before serving. All components of the dessert, I prepared well in advance: a chocolate lava cake with salty caramel macadamia ice cream, chili chocolate sauce, gingery preserved pears and boozy Williams brandy jelly. Pingback: Trout • Apple • Celeriac • Chives – Mums! Pingback: Appetizers 🌱 – Mums! Pingback: Veal • Root vegetables • Bramata • Parsley – Mums! Pingback: Chocolate • Caramel • Pear • Macadamia – Mums! Pingback: Floral butter – Mums!